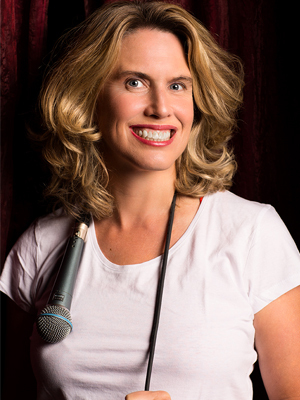 Sharon Mahoney is an international stand up comic, actress and award-winning street performer. From 1991 to 1992 she studied Improvisational Acting at the Second City in Toronto, Ontario and later received an Hons BA in Theatre Arts and Psychology at Bishop’s University. Sharon has been performing comedy world wide for over 20 years. Some highlights include the Melbourne International Comedy Festival, Adelaide Edinburgh Festival, Glastonbury and the Christchurch World Buskers’ Festival in New Zealand. Miss Mahoney continues to fulfill a busy performance schedule at festivals and comedy clubs around the world and pushes the boundaries of social international comic possibility wherever she goes!